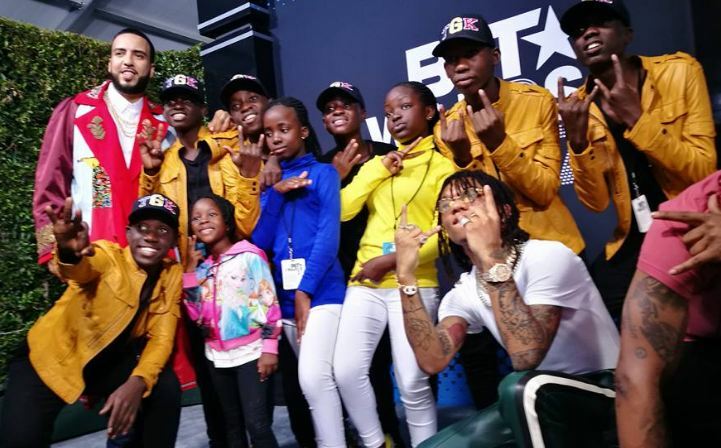 BET Award winner Eddy Kenzo and the Triplets Ghetto Kids performed at the Woodbine Beach in Canada at Afrofest‘s 30th anniversary on Sunday 9th July 2018. This was the first time they were appearing at the music festival, and they left a mark. Uganda must be proud of the combination between Eddy Kenzo and the Triplets Ghetto Kids (TGK). Ever since the two music powerhouses combined, great things have been achieved together and it seems like the sky is the limit for these two brands. Eddy Kenzo was booked for the Afrofest and he has always traveled with the TGK as his backup dancers. The dance group made up of three girls and six boys were excited to be performing at the festival and they could not wait to show their magic dance strokes. Afrofest is one of the largest free African music festivals in North America. Peter Toh, the president of Music Africa, booked artists from all over Africa and Toronto to perform at this year’s festival.